Kim Ballestrin is off to LKNA! 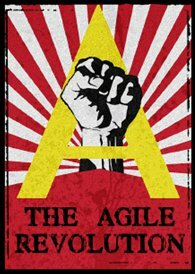 The brand new spiffy “The Agile Revolution” website – comment if you like it! Tagged agile, Certifications, Craig Smith, Distributed Agile, LAST Conference, LKNA, Multitasking, Renee Troughton, RubyConf Australia 2013, SAFe, scrum, Scrum Australia 2013, WIP, Yahoo!